Please note that this client is only compatible with older versions of Windows including Windows XP, Server 2000, Server 2008, and Windows 7, but not Windows 8 or up. 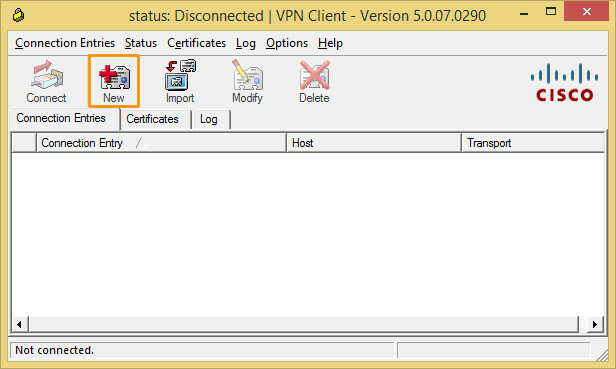 Windows 8 and Windows 10 users should use a 3rd party IPSEC VPN client such as Shrew Soft VPN Client For Windows. (Note: While the Shrew Soft site only lists compatibility with Windows 8, we have confirmed it is compatible with Windows 10.) 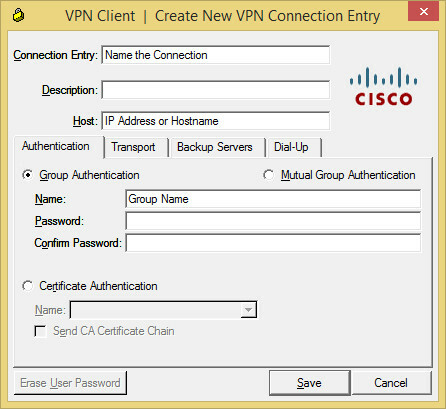 For non-Windows users, the native Cisco client is one of the easiest ways to connect to your VPN. 1. Download and install the Cisco VPN Client (please note this is different than Cisco Any Connect client). MacStadium customers can download the program from the link we provide you in your VPN Setup documentation. 5. Select OK to connect.